Government is moving away from the colonial education structure which had a caged education system for Africans to one that churns out industrialists who will transform the country, a Government official has said. In a speech read on his behalf to mark the official opening of Zimbabwe University Library Consortium (ZULC) congress held in Harare yesterday, Higher and Tertiary Education, Science and Technology Professor Amon Murwira said there was the need to transform the education system to promote industrialisation and modernisation. 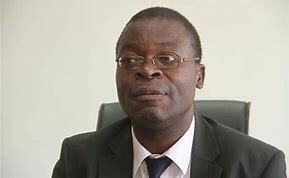 Professor Murwira said Government had inherited a colonial education system 3.0 which was designed to produce workers and was now moving to 5.0 aimed at churning out industrialists. “Education 3.0 constitutes teaching, research and community services only suited for that purpose. This type was not meant to produce goods and services but designed for research articles and materials for teaching and consultancy,” said Prof Murwira. “We are getting out of this cage where education was not exploited to its full potential. We have to redesign our education system to 5.0 in order to optimally exploit our potential as a nation based on our heritage,” he said. He said 5.0 education system was anchored on teaching, research, community service, innovations and industrialisation. He urged university libraries to be hubs for technology and to transform from being academic libraries to remain relevant. “Without a good library we cannot win, academic libraries need to provide products that stimulate and nurture futuristic innovations, knowledge generation and transfer,” he said. Speaking at the same occasion, ZULC chairperson Ms Patience Chibanda concurred that libraries at higher institutions of learning should cease being academic and strive to meet the demands of the 21st century student. “Fellow librarians our universities and colleges need to move away from the idea of academic libraries as buildings that stock books on dusty shelves, to learning spaces that can facilitate access to information at any time and place,” she said.